is the oldest of all Armagnac trading houses. 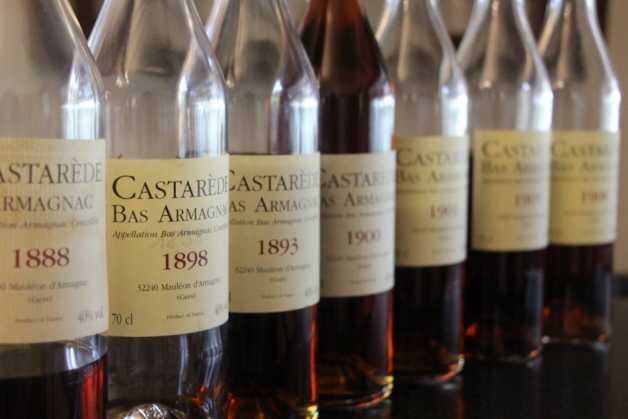 Its prestige is based on its exceptional collection of vintage Armagnacs, with – the oldest dating from 1881 – crafted from the best products of the matured in cellars more than a hundred years old. Cognac is aged in oak casks mainly from Limousin or Tronçais (capacity: 270 – 450 liters), Armagnac is aged in 400 to 430 liter oak casks constructed primarily using oaks from local forest in Bas Armagnac. Armagnac is hand crafted by small-scale producers – Cognac is a mass produced.